Kesari starring Akshay Kumar and Parineeti Chopra has zoomed past the Rs 100-crore mark at the Indian box office. 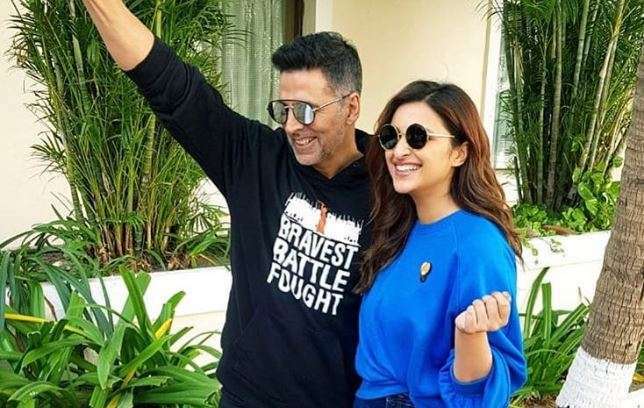 Actress Parineeti Chopra is all ecstatic with Akshay Kumar starrer Kesari success as her previous film Namaste England turned out to be a box office turkey. The film based on the Battle of Saragarhi has zoomed past the Rs 100-crore mark at the Indian box office. The actress is also showering praises on her co-star Akshay. Her next few films include Saina Nehwal biopic, "Bhuj: The Pride Of India" co-starring Ajay Devgn, based on the real-life daredevilry of an Indian Air Force officer.